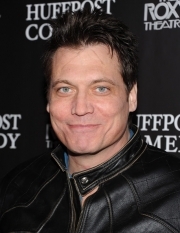 Holt McCallany is an American actor, writer, and producer working primarily in film and television. He was born in 1964 in New York City to theatrical parents. His mother is Julie Wilson, an American singer and actress, who has long been considered one of the best cabaret performers in the United States. His father, Michael McAloney, was an Irish actor and producer best known for his Tony Award winning production of Brendan Behan’s Borstal Boy, an autobiographical play about a young member of the Irish Republican Army, the first Irish production to win top honors on Broadway. Because his father wanted an Irish education for his two sons, Holt and his younger brother Michael were sent to live with another family in Dublin while his parents stayed in New York City, working. However, following his parents' divorce the children moved back to the United States and Holt attended school in New Jersey. He was later sent to live with his maternal grandparents in Omaha, Nebraska, where he had a troubled childhood and was expelled from the Jesuit Creighton Preparatory School. At the age of 14, he ran away from home and took a Greyhound bus to Los Angeles to pursue his dream of becoming an actor, but ended up with a job in a screwdriver factory unloading trucks. His parents eventually tracked him down and sent him back to Ireland to a boarding school in County Kildare that his father had attended forty years earlier. After high school Holt went to France for college, first to study French at the Sorbonne and art at the Paris American Academy, and later theater at Ecole Marcel Marceau and Ecole Jacques Lecoq. His first job in the professional theater was as an apprentice actor at the Great Lakes Shakespeare Festival in Cleveland, Ohio, in the same apprenticeship once served by Tom Hanks, among others. He then moved back to New York City and was cast as an understudy in the Broadway production of Biloxi Blues. McCallany landed a series of supporting parts in such films as Casualties of War, Alien 3, Creepshow 2, The Search for One-eye Jimmy, Jade and Rough Riders. After playing the legendary boxing trainer Teddy Atlas in the HBO telefilm, Tyson he became a supporter of the Atlas Foundation Charity, a grassroots organization dedicated to helping children and families with medical and financial hardships. He continued working in films and television throughout the nineties with roles in films such as Fight Club, Three Kings, Men of Honor and Below, among others. He played a detective with psychological problems who commits suicide in the season three finale of CSI: Miami, and a soldier with post-traumatic stress disorder on Criminal Minds. McCallany also appeared in the 2010 Warner Bros. film, The Losers, based on the graphic novel from DC Comics. 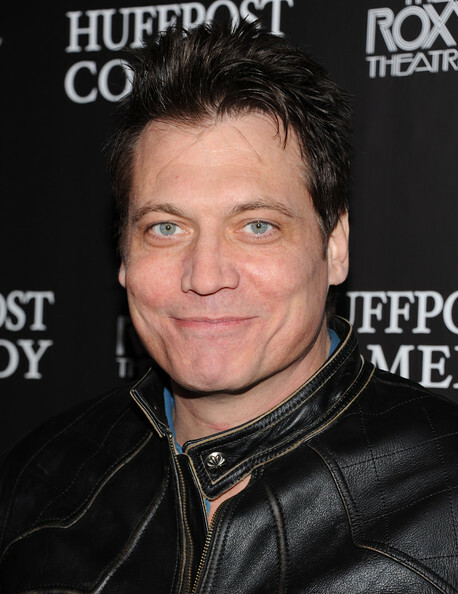 McCallany also was the star of the 2011 FX television series, Lights Out, playing an aging boxer ("Patrick 'Lights' Leary") forced out of retirement and into a comeback bid to regain the heavyweight title, despite having pugilistic dementia. McCallany is a writer and producer of the film version of the true-life story of Doreen Giuliano, a Brooklyn wife and mother, whose son John Giuca was targeted by a corrupt prosecutor and wrongfully convicted of murder. Her journey to prove her son's innocence and secure his release from prison was recently optioned by a major network. Whole or part of the information contained in this card come from the Wikipedia article "Holt McCallany", licensed under CC-BY-SA full list of contributors here.